When we sit at the dinner table, we find that our toddler would like to be included, whether we are at home or out to eat, he wants to be able to sit at the table with everyone else and not be stuck in his highchair. 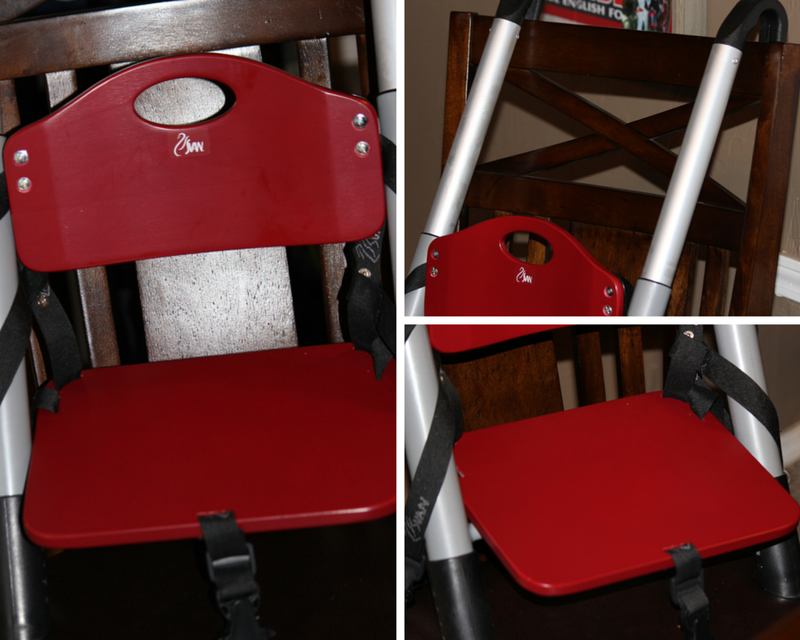 Being that he is a toddler, he can not quite sit at the table and eat over his plate, so in order to make his little dream of sitting at the table a reality, we were sent the Svan Lyft Booster Seat to review. I am one who likes things that are portable, and with the Lyft, I find that it is very portable because it can easily be folded up, then toted in the bag that it comes with. I also like that with the Svan Lyft, I can make it fit by adjusting the telescoping arms. My toddler likes that we can put this on just about any chair, and he can sit at the table with the rest of the family in a big boy chair. I like that the Lyft can be used for toddlers 18 months up to 5 years of age, making it so my little guy can use this booster seat until he is big enough to reach the table on his own! The Lyft is simple to use, by adjusting the arms and legs to fit the chair, and securing it in place with the straps. Then from there, I can keep my toddler in place by using the 3 point adjustable safety harness. 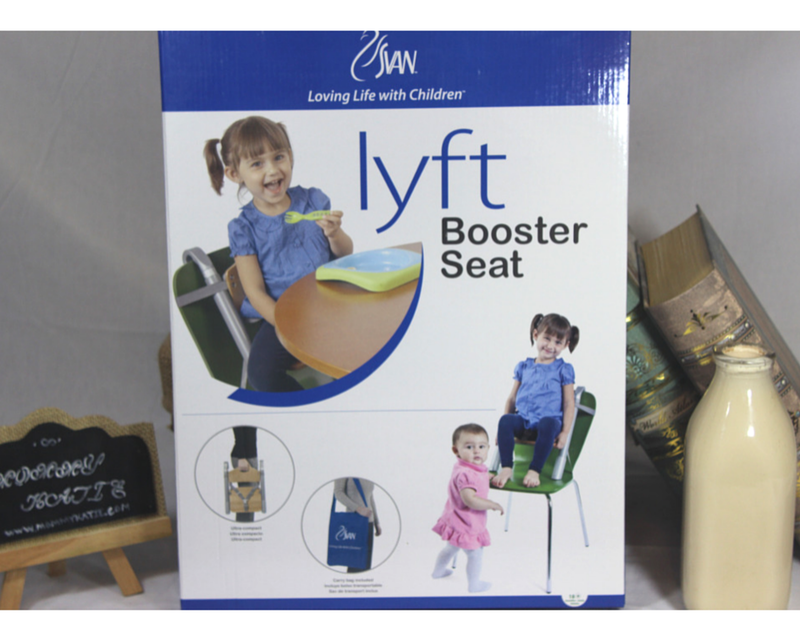 The anti-slip feet help keep the booster in place while kids are sitting on the booster, then with the fact that there is no assembly required, I find that the Svan Lyft Booster is a great booster seat to have to use for the toddler in your life! 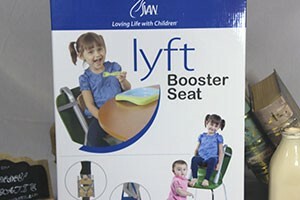 So if you are in search of a great, simple to use, portable booster, that grows with your toddler (up to 50 lbs), then be sure to check out the Svan Lyft Booster which you can purchase at Svan.com! Product received, thank you to Svan as well as the PR for supplying me with a product for this review, all opinions are my own.